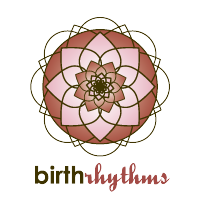 Birth Talk is a peer support group for pregnant and new moms hosted by Birth Rhythms. through which women can find adult conversation and support from those who are going through the same phases of life. Each week, the group of women discuss a different topic and often watch videos on birth and early parenting topics. Birth Talk is held every second Monday evening, as of December 19, 2011, from 7 to 8:30 p.m. A $5 donation is requested at the door.